I bet I'm not the only one who remembers what she was doing around the time Harry Potter first appeared? Tall and Small were still pretty tiny, I remember, and I had escaped on my own! into town for a rare bit of shopping when I spotted the first two books in our newsagents. I think the second one had just been published and as I'd skimmed a newspaper piece about its popularity with adult readers, I picked both books up and took them home. I sat out on our deck and read to the sounds of two small children in one tiny, city sized paddling pool. And I was enchanted. I've always been pulled in by a good school story - maybe that's back to the old parents-who-were-teachers thing? I set those two down satisfied, and I waited for the next one. We found it on holiday, pushing a buggy out of the rain into the respite of one of Edinburgh's big bookshops. Then the next, and the next, and by then our two were big enough to want to join in the queue in our own Waterstones, to be there at midnight for a new book, fresh off the first stack. Then the films started coming and when I saw Harry in his new stretched, teenaged form, different shoulders, different voice, I thought - by the time the next movie is out, my boy will have done that too. Which is what happened. He grew, Harry grew, the books grew, fatter and fuller until the end, when the beginning of each summer holiday shifted just a little. Not everyone who tries them likes them. That I get. But JK Rowling has plenty of important things to say about stuff kids need to know: about love and loss, especially, and I know that as a bereaved child myself, many years ago, I would have found help there, where she offered it. But there's a lot of fun to be had at Hogwarts, too. 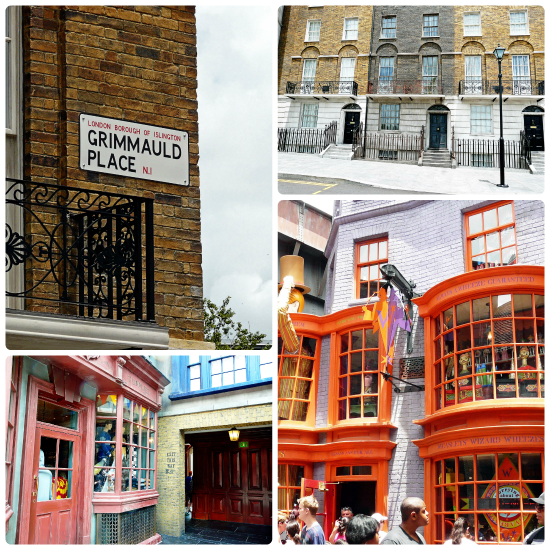 And that brings us back to today and my photos of the new Universal Studios Diagon Alley. It opened on 8th July this year and we were lucky enough, more by accident than planning, to visit a few days later. We didn't queue for four hours to get on the new Gringotts ride, but we loved the rest of it. Sometimes a book will always be better than a film; sometimes a film brings new meaning to a book and once in a lifetime a book comes to life before your very eyes. Sian, I just loved this post ... One if those I could read again. You've a way to bring things to life. 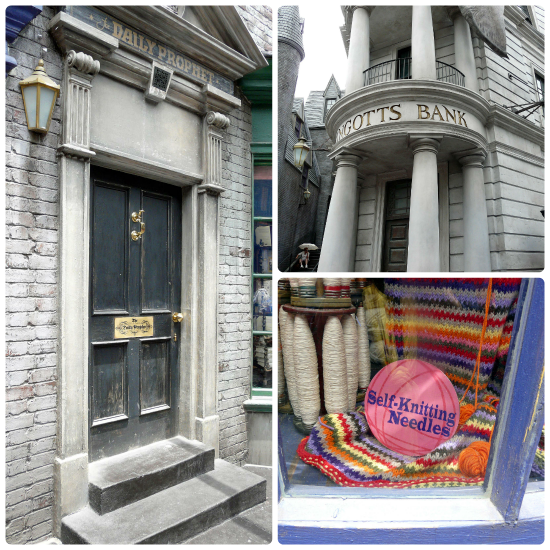 We loved our visit this year to the HP experience and I'm sure the US now was just as amazing. 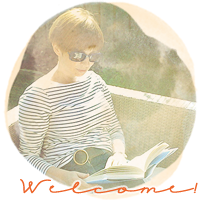 What a great post,Sian....it sounds like you got a lot out of that visit....as well as so much from the books. It all looks wonderful as well. beautiful words. I remember every single detail of discovering Harry's story for the first time, the magic, the waiting every summer, staying up all night long to read a few more chapters even though there was school the next day. I just can't wait to have children of my own and one day give them their first Harry Potter book! Great post...I love both the HP book and the films! Such a wonderful post! I loved the first Harry Potter books, but then they got too dark for me. Not for my daughter and husband, though, they've read them all. I think Sarah has read them all at least twice! My daughter Sarah will be visiting this week. She literally grew up on Harry Potter - the first few books we read together, taking turns reading out loud because some of the words were too big for her. By the last book, she was reading it on her own, then passing it off to me. She even wrote Harry Potter fan fiction for awhile! The place looks amazing. I bet you had a blast there! 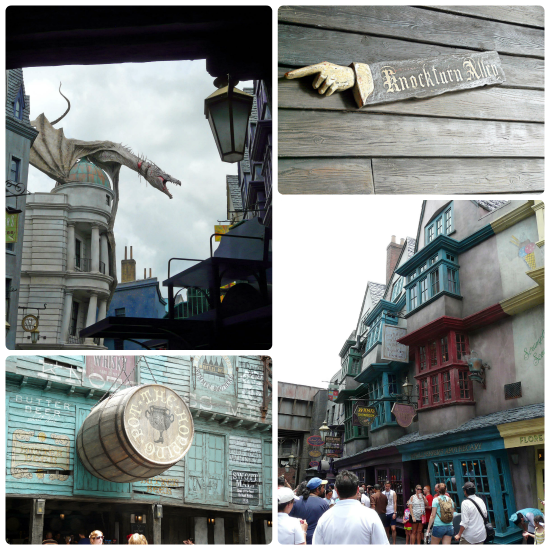 So much fun, can't wait to visit Diagon Alley! The boys and I read all the books together even with them old enough to read on their own. Our family held long to the tradition of nightly read alouds. Great photos to scrap now! A trip to Harry Potter World is one my 50 Things List!! Enjoyed seeing your photos today. I scrapped our Harry Potter story a couple of years ago - Robbie bought me the first book & we've both read them all (at least twice) and seen all the movies (quite a few times). Lovely post - glad you got to see the attraction! My daughter nagged me for two years to go to The Wizarding World of Harry Potter (which was no simple task since we live in Australia). We finally made it last November. 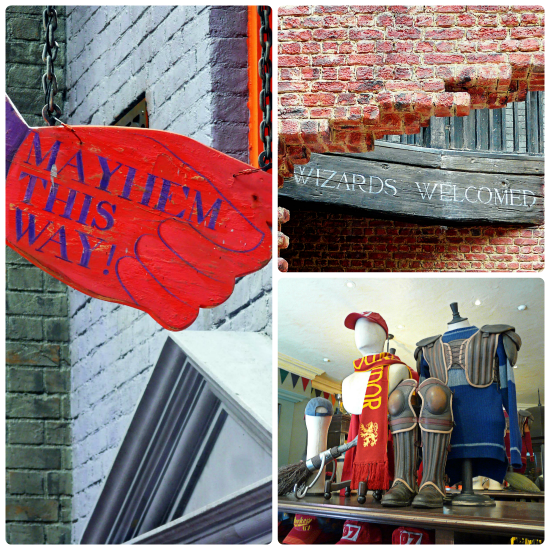 WE loved the sections that were open but could only stare in amazement at the Diagon Alley developments underway. I think she may have to save her pennies to go back!! Lovely to read how important these books have been to you, threaded through your and your children's lives. Getting to see the imaginative recreations must have been wonderful! I loved reading this post. I remember my friend (clever girl) giving me the first book for my birthday, when my boy was a tiny baby. She knew I would love it and I did. Looks like a fabulous place to visit. So glad you enjoyed it. I'm sure I'm in a teeny tiny minority - I've never read any of the books, but I have seen a couple of the movies. I'm actually reading JK's second Comoran Strike book now, but the setting isn't nearly as magical as Harry's world. In all the times we've been to Orlando we've never made it to Universal but after seeing these pictures we definitely have to make it there next time! Thanks for the peek at it. It would appear that we visited a year too soon! My nephew has just donated his audiobook collection of HP to The Boy Child and I have the books waiting for him. It remains to be seen if he expresses an interest. I was late to the HP party. I bought the first 4 books when they were on offer in a supermarket, in about 2003, I think. I'm also a fan of the Harry Potter series, though probably not as devoted as you are since I don't remember when-where-how I first learned of them. I've read all the books at least twice and I loved how the movies depicted what I read. I continue in awe of Rowling's ability to envision such a grand story and to be true to it from beginning to end. I'm also impressed that her story is as appealing to adults as it is to children. A masterpiece work for sure! Oh that does look lovely - my two enjoyed growing up and waiting for the books. Many childhood memories involve Harry and other literary friends.